Life long Watch Hill local available to help anytime! Only property in all of Watch Hill with order-out privileges from the Olympia Tea Room restaurant (seasonal). Centrally located in the middle of the quaint village of Watch Hill. Steps away from one of Rhode Islands most pristine beaches, Napatree Point. Long Island Sound & Little Narragansett Bay. 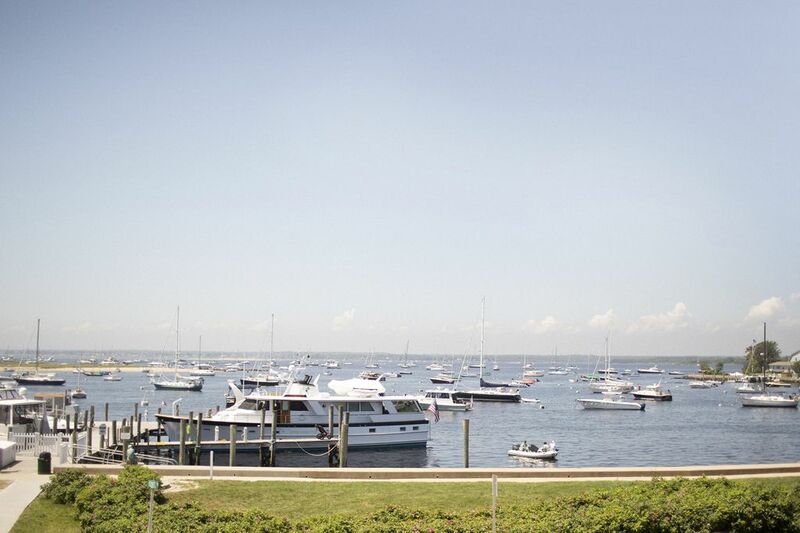 Enjoy a view of a harbor filled with luxury yachts and Wednesday night sailboat races all summer long. Best View of Little Narragansett Bay in the village of Watch Hill. Front & center for spectacular sunsets. 2 private off street spaces. Fully equipped modern kitchen with granite counter tops and breakfast bar. Large flat screen in living space, flat screens in each bedroom. Loved Watch Hill since childhood. This is our 2nd time staying and our stay was just as grand as the first time. There is nothing better than having your coffee in hand and watching WH wake up in the morning. This place is quite literally, in the middle of everything. From the linens, to the glassware...it's all first class. Check in/out is simple and no hassle. Georgia makes everything very easy. We stayed with another couple and it was as private or social as you want it to be. Highly recommend. The apartment was perfect! Comfortable, clean and in a lovely location. We had a fantastic stay. The apartment is very well kept and in a perfect location. We will definitely be back. The unit is exactly as depicted in the photos. very clean, perfect location, very easy to work with property managers. highly recommend. Walk to Watch Hill Light House and the five star Ocean House Resort. Enjoy a ride on one of the oldest flying horse carousels in the United States. Luxuriate along miles and miles of pristine RI beaches. Surf, Golf, Fishing, Tennis, Paddle Board, Bird Watching, Shopping, Dining steps from your door or just take a walk among Watch Hill's coastal mansions. Maybe you will catch a view of someone famous!